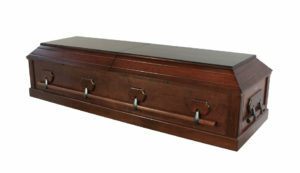 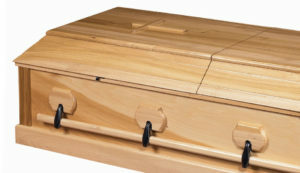 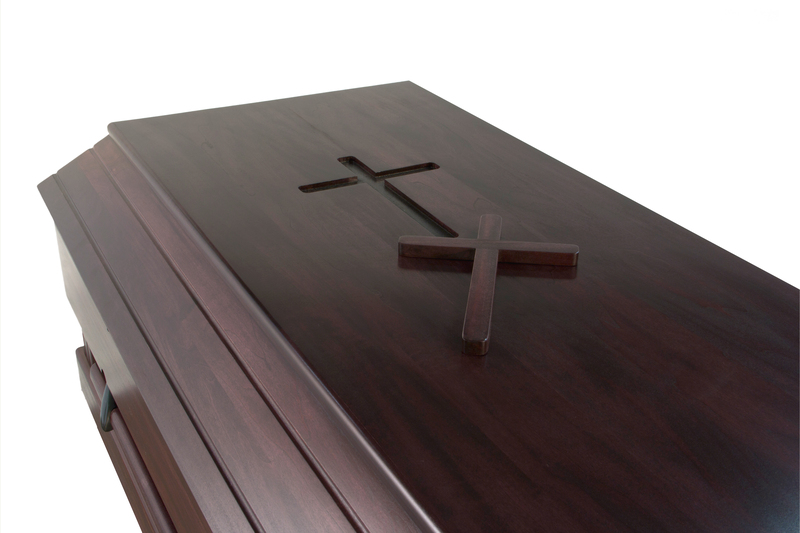 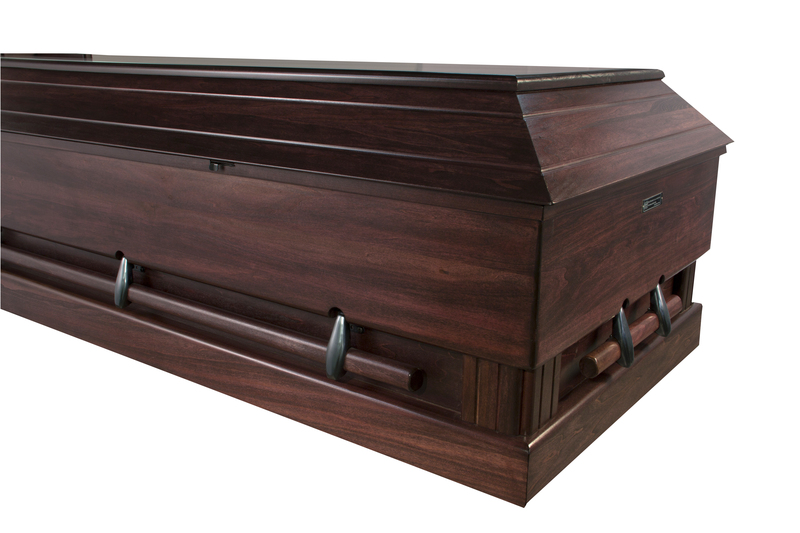 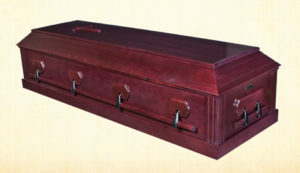 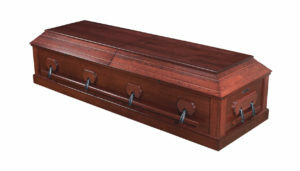 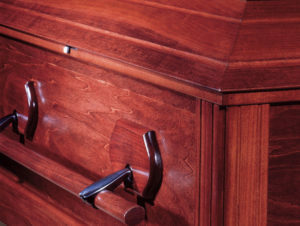 The 27” Traditional Poplar Casket is made of tulip poplar hardwood. 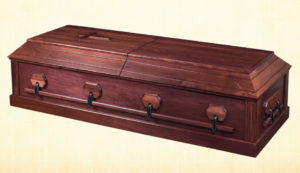 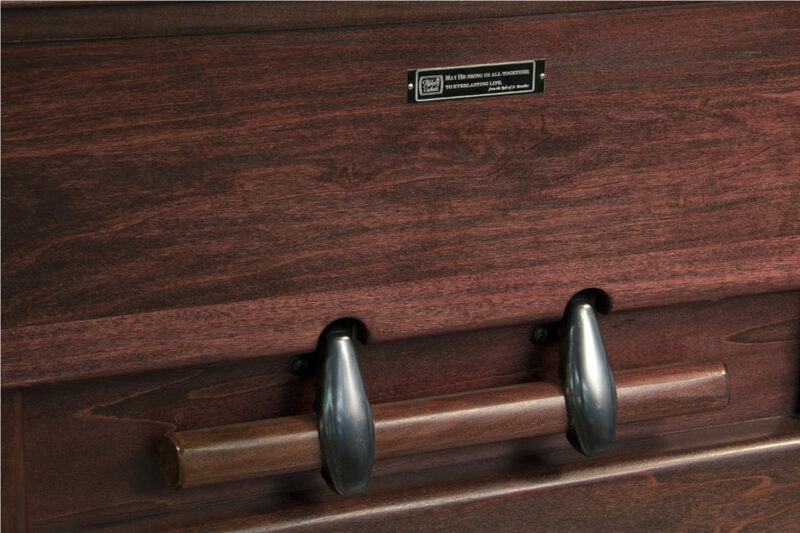 This casket is designed to give more width than the standard casket. 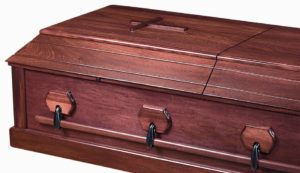 The wood features a variety of color and grain patterns. 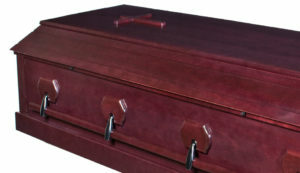 Each casket is hand wiped with a cherry stain to give the casket a rich even color. 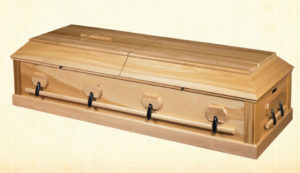 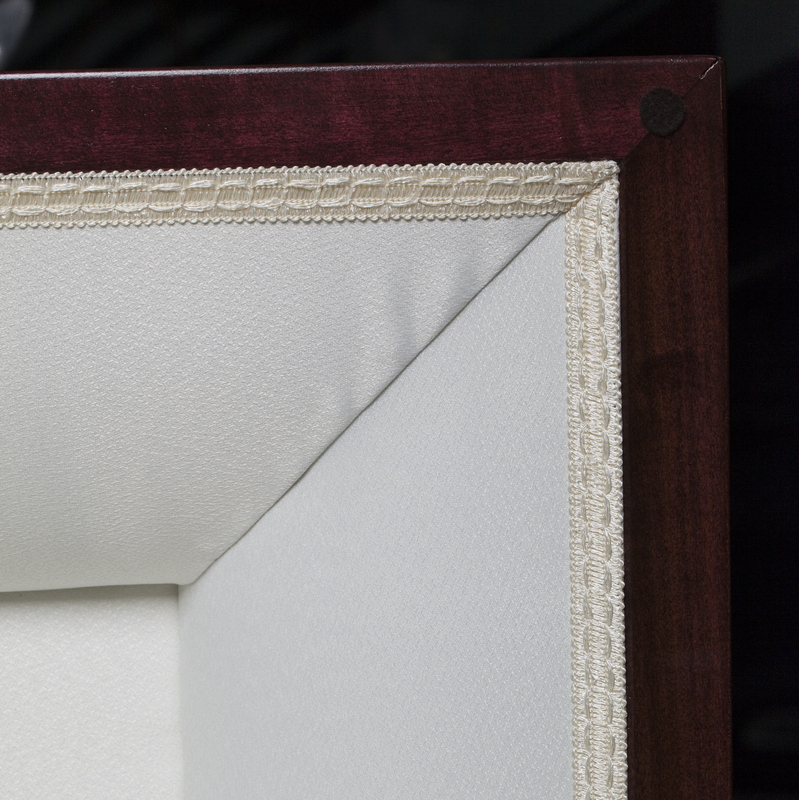 The Traditional Abbey Casket is fully lined in off-white linen. A solid wood swing bar handle is secured with Venetian bronze hardware on all four sides for ease of carrying. 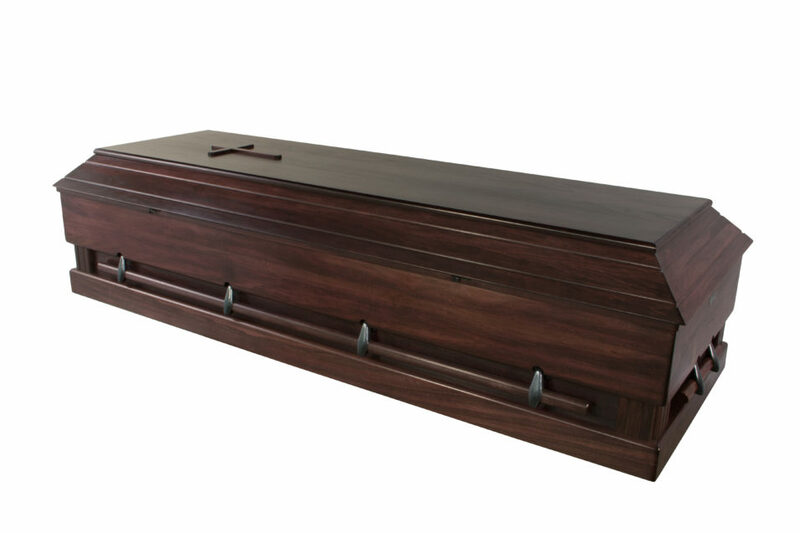 Options: Full view opening available, includes foot pillow. 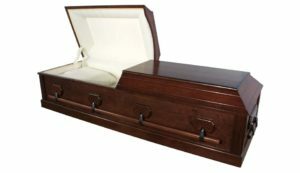 Half Couch and Full Couch Available: Optional lid where either the upper body or full body can be viewed.